“That’s very promising” to help people stay on treatment, the U.S.’s top AIDS scientist, Dr. Anthony Fauci, said of the prospects for long-acting drugs. 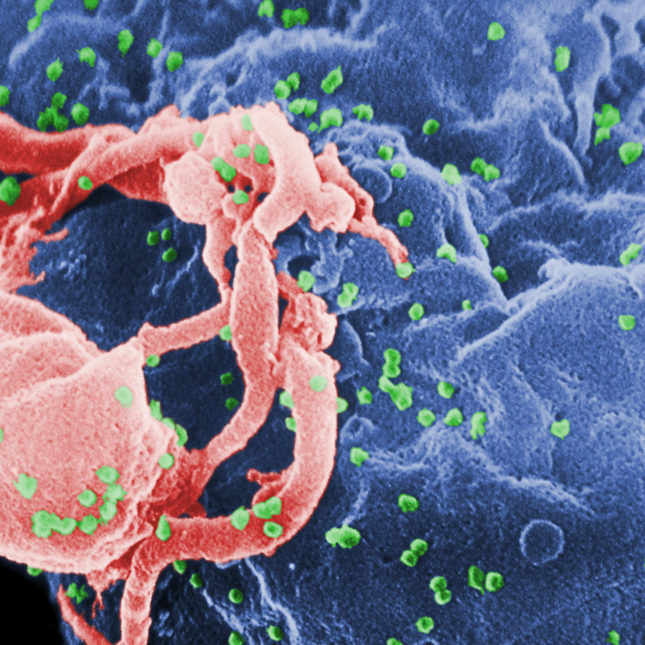 Current treatments keep HIV under control but must be taken lifelong. Only one person is thought to be cured — the so-called Berlin patient, a man who had a bone marrow transplant in 2007 from a donor with natural resistance to HIV. But transplants are risky and impractical to try to cure the millions already infected. So some researchers have been aiming for the next best thing — long-term remission, when the immune system can control HIV without drugs even if signs of the virus remain. Aggressive treatment soon after infection might enable that in some cases, and the South African girl is the third child who achieved a long remission after that approach. She was in a study sponsored by the agency Fauci heads, the National Institute of Allergy and Infectious Diseases, that previously found that early versus delayed treatment helped babies survive. The girl, who researchers did not identify, started on HIV drugs when she was 2 months old and stopped 40 weeks later. Tests when she was 9 1/2 years old found signs of virus in a small number of immune system cells, but none capable of reproducing. The girl does not have a gene mutation that gives natural resistance to HIV infection, Fauci said, so her remission seems likely due to the early treatment. —A French teen who was born with HIV and is now around 20 has had her infection under control despite no HIV medicines since she was roughly 6 years old. —A Mississippi baby born with HIV in 2010 suppressed her infection for 27 months after stopping treatment before it reappeared in her blood. She was able to get the virus under control again after treatment resumed. At least a dozen adults also have had remissions lasting for years after stopping HIV medicines. A study underway now is testing whether treating HIV-infected newborns within two days of birth can control the virus later after treatment stops. It started in 2014 in South America, Haiti, Africa and the United States, and some of the earliest participants might be able to try stopping treatment later this year. Treatment might get easier if two large studies underway now confirm results reported Monday from a study testing a long-acting combo of two HIV drugs — Janssen’s rilpivirine and ViiV Healthcare’s cabotegravir. Cabotegravir is experimental; rilpivirine is sold now as Edurant and used in combination with other drugs for treating certain types of HIV patients. After initial treatment to get their virus under control, about 300 study participants were given either daily combination therapy pills or a shot every four or eight weeks of the long-acting drug duo to maintain control. After nearly two years, 94 percent on eight-week shots, 87 percent on four-week shots and 84 percent on daily pills had their infections suppressed, with similar rates of side effects. An AIDS-free world is possible, but do we have the will to achieve it? “The results were good regardless of whether people came monthly or every two months for their treatment. This has important policy implications,” said Dr. Linda-Gail Bekker, deputy director of the Desmond Tutu HIV Centre at the University of Cape Town in South Africa, and a co-leader of the conference. The study was sponsored by the drugmakers. Results were published in the British medical journal Lancet. Two large studies aimed at winning approval to sell the treatment are testing the monthly shots. Janssen said in a statement that good results from eight-week shots warrant reconsidering the longer approach. If it works, “this will have a huge impact on how we manage that very important group of people who are not able to access and take drugs on a day-to-day basis,” such as those with mental health or drug abuse problems, said Dr. Steven Deeks, an AIDS specialist at the University of California, San Francisco.